Security and surveillance systems provide great opportunities to businesses and to the public at large for enhanced safety of persons and assets. While many bemoan the growth of surveillance technology in the public sphere, the ability of security apparatus to deter crime and to help law enforcement professionals to detain criminals is of an almost inestimable value to our society. Any individual or business who has ever been the victim of a crime against their person or property, only to see law enforcement frustrated and foiled in their attempts to solve the crimes in question would be very pleased to have a recording of the crime as it occurs, often resulting in law enforcement officers being able to identify and subsequently apprehend the perpetrators. Today, security and surveillance systems have never been less expensive and easy to use, and any home or business owner interested in protecting their assets and loved ones will quickly realize the value that these great new technologies present. Parking lots are the scene of a great many property and violent crimes. During hours in which parking lots experience a great deal of traffic, criminals enjoy an ability to blend in with crowd, often committing crimes against property that go unnoticed amid the hustle and bustle of day-to-day business. During hours in which parking lots experience very low traffic, the absence of witnesses or possible intervention by others opens significant doors for crime against persons. Violent crimes in parking lots happen very often, and with few or no witnesses about to offer aid or to contact law enforcement, unprepared victims are very often at the mercy of their attackers. Similarly, automobiles break-ins, thefts and vandalism can occur even when a great many other persons are present. The sheer volume of persons moving in and about an environment can serve as a very effective cover for criminals, and brazen thieves and vandals often commit crimes in the middle of crowds without ever being noticed. Security and surveillance systems for parking lots, home owners and businesses can offer a layer of security and deterrence that is not inherent to the unmodified environment. Many security and surveillance systems offer real-time monitoring by trained professional security staff, allowing for the quick response of security or law enforcement professionals to crimes as they are being committed. The value of such intervention can not be calculated when it comes to saving an individual from a violent crime or sexual assault, and even the most vocal and ardent of opponents of public surveillance will realize its value when it comes to stopping such assaults before victims’ lives can be harmed or destroyed. Professional security personnel often monitor the feeds from security and surveillance equipment in parking lots, and are poised to respond quickly as threats or even suspicious events arise. Protecting loved ones and personal property is worth the expense of purchasing, installing and monitoring surveillance equipment in real-time. Automobiles are favored targets of thieves and vandals, particularly when left unattended in public or private parking lots. When there is low traffic in the area, criminals can take their time to scope out their targets, looking for high-value items in cars, or even picking out cars to be stolen for a variety of purposes. Some car thieves simply enjoy the joy ride, taking a car that does not belong to them and driving it around for a while before leaving it in some out-of-the-way place to be found later and returned to its owner. Others are participants in the very active and lucrative resale industry, in which cars are stolen, transported to secure locations where they are altered or dismantled, and then sold to customers who very often have no idea that they are receiving stolen goods. The modern “chop shop” is very popular with these criminals. A “chop shop” is a secure location where stolen automobiles are either altered or dismantled before being sold. Alterations can be as minor as the replacement of license tags and identifying serial numbers before the car hits the market, or can be as involved as the complete dismantling of an automobile and the constituent parts being sold piece-meal by the thieves and their associates. Very often, these parts end up in the hands of reputable dealers, auto enthusiasts and private parties who believe that they are purchasing quality parts and equipment legally. These parties are very surprised when law enforcement descends upon them, seizes their property, and sometimes even charges them with the crime of receiving stolen goods. Automobiles that are altered for sale pop up all over the world. Some very sophisticated criminal organizations run efficient businesses in which stolen cars are shipped to other countries where alterations are less easy to detect. In some of these countries, local law enforcement either cares little about such criminality, or may even be co-conspirators in what amounts to billions of dollars in illicit international trade. Catching these loathsome perpetrators can be difficult and costly, but solutions as simple as purchasing and placing electronic surveillance equipment in high-crime environments such as parking garages can go a long way to preventing the commission of these crimes. Security cameras act first as a very substantial deterrent to criminals. Once they realize that their misdeeds will be captured and recorded for posterity, they often seek out softer targets wherein they can ply their trade with reduced risk of identification and capture by law enforcement. These deterrents can be so effective at preventing the commission of property crimes as to offer incredible value for the investments made. Parking lots often feature some very dimly lit places in which violent criminals hide and await hapless victims, victims who have no idea that they are about to be assaulted, raped, beaten or even murdered in what may seem like a safe public space. At night, with very little traffic, and very poor lighting, parking lots present a prime hunting area for violent offenders. Once such individuals realize that their every movement and deed is being watched and recorded, though, they often retreat and are prevented from harming anyone. Security and surveillance systems save lives and prevent a great deal of crime in these environments, and are available at such low costs as to make their absence make little sense. Simple hit-and-run accidents are very common in parking lots and parking garages. Many automobile owners return to their vehicles to find damage done to them by the poor driving habits of others, and often have little recourse when it comes to identifying the persons responsible. Law enforcement professionals are frank about their inability to capture and prosecute the perpetrators of these property crimes, and the victims typically are forced to pay very high insurance premiums to cover the repairs to their cars. Catching identifying information on security and surveillance cameras allows law enforcement to pursue and capture the parties at fault, saving the innocent victims the very high costs of insurance premiums, as well as the subsequent increases to their annual automotive insurance policies. While minor body damage or scratched paint may seem relatively inconsequential, any person who has ever suffered such damage to their prized automobile knows that it can be a heart-wrenching affair. Investing in security systems serves to both deter crime and to help law enforcement professionals capture criminals during or after the commission of crimes. They protect private property and promote public safety, and present a worthwhile addition to any business or public space in which security and safety are concerns. Municipal and private parking lots and garages are very often high crime areas, and experienced criminals target areas in which they are most likely to have success in the commission of their crimes. Acting to deter and capture such persons is a public good which all upstanding citizens can support without surrendering privacy rights unduly. Many citizens find the growth of surveillance and security systems in the public sector to be uncomfortable, and do not wish to have their comings and goings recorded for posterity. While privacy is a treasured right and a valid concern for any citizen, the expectation of such a degree of privacy when out in public is largely invalid. Acting in the public sphere, individuals are seen by their peers and fellow community members, and experience no deficit to their privacy by being subject to video security surveillance put in place to protect their persons and property. In fact, many private citizens find that the increase to their security is well worth the imagined cost of being subject to video surveillance by trained security professionals serving as watchdogs for the safety of their persons and private property. Security and surveillance cameras for parking lots in Boca Raton, Florida presents an affordable and easy means of deterring crime, identifying criminals and aiding law enforcement in detaining those persons that they may be tried in a court of law. In previous years, criminals knew that they could act with impunity in these environments and faced little risk of prosecution. Capturing their misdeeds on video is reversing this situation rapidly, and inspires criminals to ply their trade elsewhere. 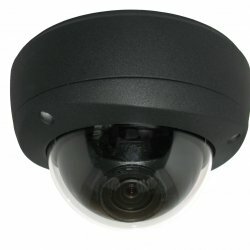 The value of the advent of surveillance and security cameras placed in parking lots and garages and monitored or recorded by trained professionals reduces crime, aids victims in seeking damages, and helps law enforcement to do their job in safeguarding persons and property in the community. Rather than wait until property and violent crimes occur, businesses interested in providing security and safety for their employees and visitors should consider the purchase and installation of low-cost and highly-effective security and surveillance equipment. Contact the experts at TechPro to get a free consultation.